Philippine Ambassador to the Kingdom of Spain, H.E. 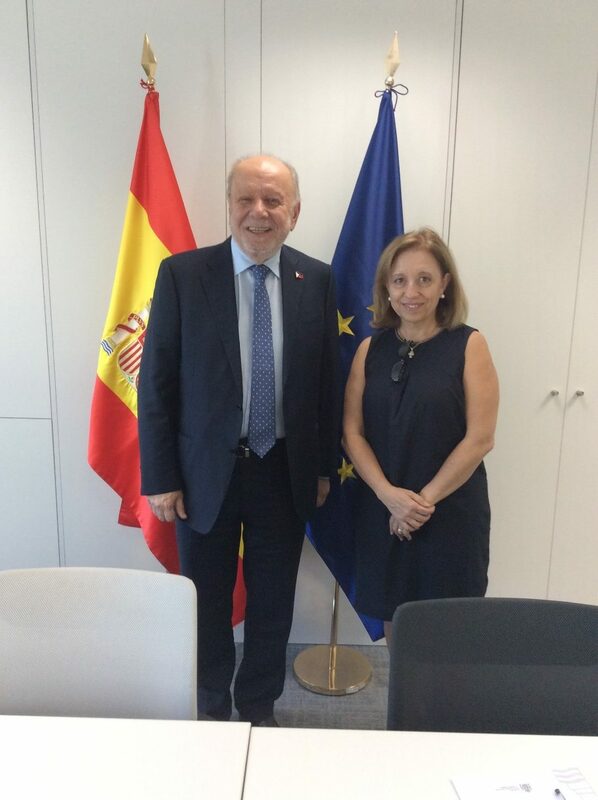 Philippe J. Lhuillier, met with the Spanish Secretary of State for Commerce, Ms. Marisa Poncela Garcia, at the latter’s office in Madrid last July 10. Ambassador Lhuillier began the discussions by talking about the vision, goals and objectives of the Duterte administration, and what its priorities are for the next five years. He informed Secretary Poncela of the President’s “Build, Build, Build” agenda, and explained the opportunities that such an agenda offers to Spanish construction companies, transportation manufacturers, and related firms. He pointed out, however, that over and above these new opportunities, the Philippines continues to provide opportunities for trade in the usual areas (motor vehicle parts and accessories, coconut/copra oil, aircraft parts and replacements, yellowfin tunas, etc.). For her part, Secretary Poncela welcomed the new opportunities provided by President Duterte’s “Build, Build, Build” agenda and promised to encourage Spanish companies and firms to participate in our infrastructural development efforts. She also agreed with Ambassador Lhuillier that, while the current trade between our two countries is good enough as it is, it can be further improved. Specifically, the balance of trade between our two countries needs to be evened out. Towards that end, however, Secretary Poncela believed that our legal framework should be reassessed with a view to providing more incentives for foreign firms to invest and do business in the Philippines. Ambassador Lhuillier assured Secretary Poncela that he would do what he could to help address such a concern.